It's been a good week. 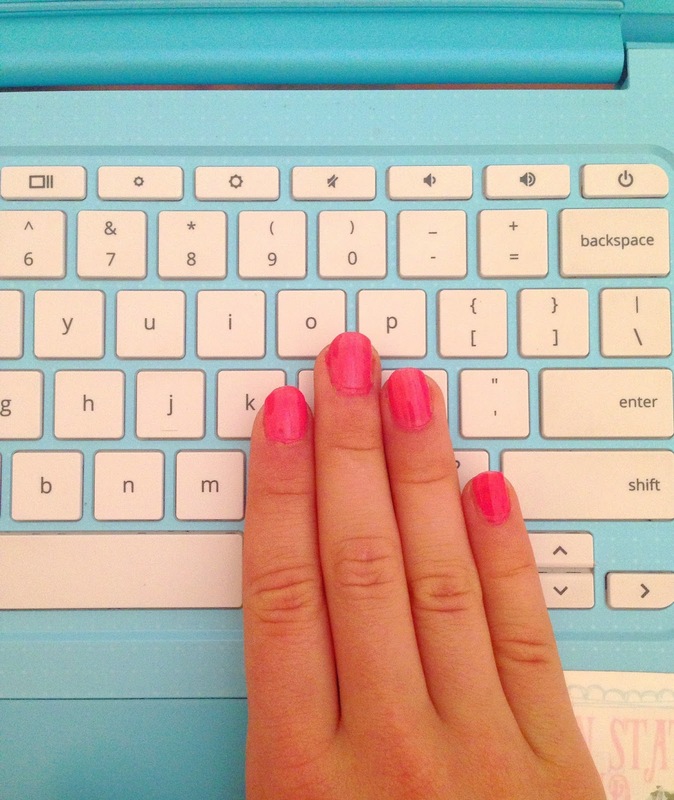 My typing class ended, and summer is in full swing - complete with cute outfits, lazy pool days, and fun adventures! I'm beginning to cross a lot of things off of my summer bucket list, and I have a feeling I'll be crossing a lot of items off next week, too. Make sure you're following me on Instagram to keep up with the fun adventures! 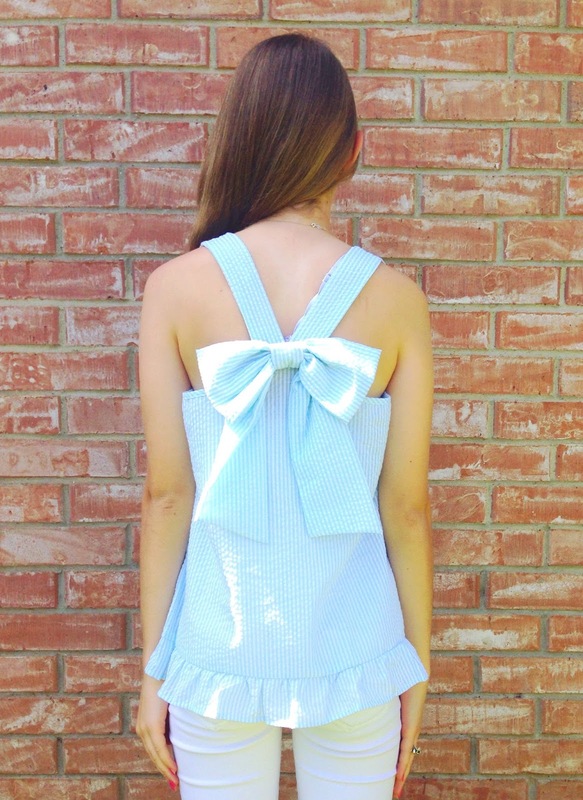 1 // This outfit post is probably my favorite one I've done yet, featuring seersucker and bows! 2 // These are some great tips for collaborating with other brands! 4 // Angelina has some great tips on taking blog photos in public. 5 // Krista's lighthouse pictures and nautical outfit go perfectly with each other. 6 // I'm going to be doing a lot of traveling next month, so I know I'll definitely be utilizing Rebecca's post on how to make the most out of your flight. 7 // Dorothy's look featuring a striped off-the-shoulder top is perfect for summer! 8 // Paulina shares how to Sunday prep to have a better, more productive week. 11 // I'm in love with Amy's poolside look! 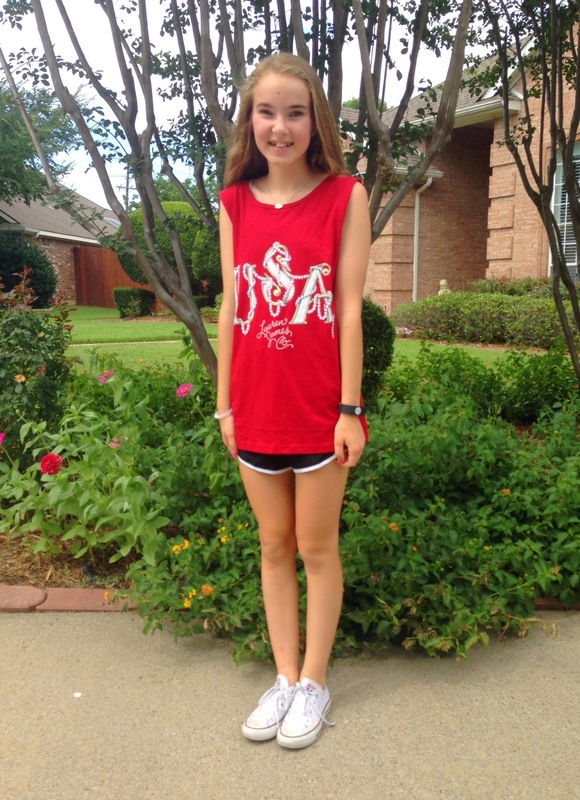 12 // I keep hearing all of the hype about Pure Barre, so I loved reading Katie's post about the experience! I know this post was a bit shorter than usual, but I haven't had as much time to read blogs lately. I kept saying that once it was summer, I wouldn't be as busy - but the truth is, I've been going nonstop. I hope you all have a great week! During the long, hot days of summer, nothing is better than a nice, cold dessert! As much as I love going to my local frozen yogurt place or buying some shaved ice, sometimes, I just want to create my own desserts. This way, I can customize it to my liking, and it can be as healthy as I want. Today, Becca, Sophie, and I have partnered up to bring you an abundance of summer treats to satisfy your sweet tooth! 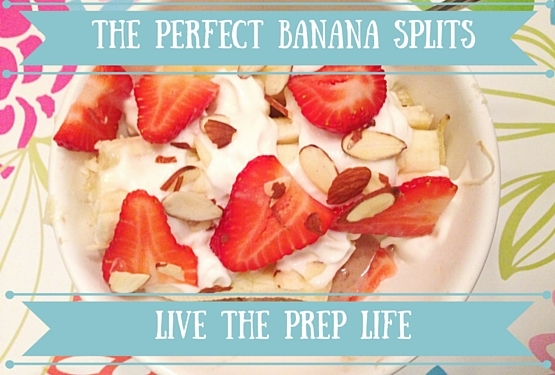 I will be showing y'all my tips for making a healthy banana split, but you should go check out Becca's post and Sophie's post too! 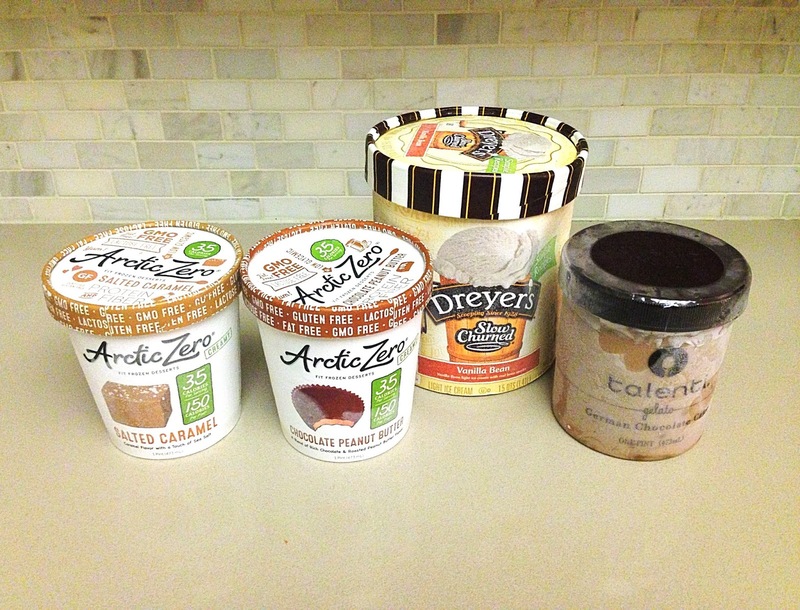 - Ice Cream // I love the brand Arctic Zero! All of their flavors are low in calories, fat, and sugar. If you want to be more traditional, you can do vanilla, chocolate, and strawberry ice cream, but I mixed things up with salted caramel and chocolate peanut butter ice cream. I also added a scoop of some plain vanilla ice cream, and then a little bit of my favorite ice cream - German Chocolate Gelato by Talenti. Yum. - 1 Large Banana // Obviously, no banana split would be complete without a banana or two. 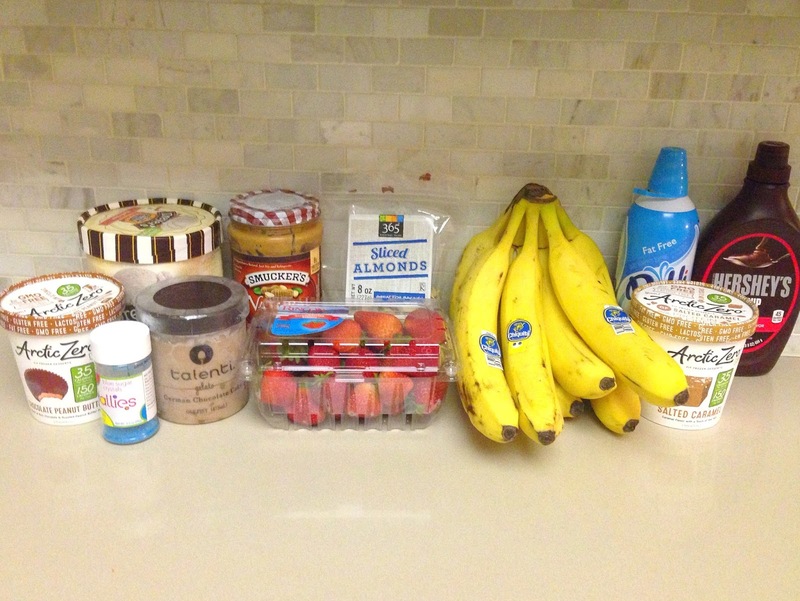 Use as many as you want, depending on how big or small you want your banana split to be. - Toppings of Your Choice // I used whipped cream, strawberries, and almond slivers. Some other great toppings are chocolate syrup, pineapple chunks, chocolate chips, sprinkles, and blueberries! If you're like me, and you love the combination of peanut butter and bananas, then feel free to put some peanut butter on your banana! I've done it before, and it's amazing. Start by scooping however much ice cream you want into a bowl. Then peel the banana, and slice it length-wise. If you're using a small bowl, like me, you may have to slice the banana in half by its width, too, so it sits in the bowl. 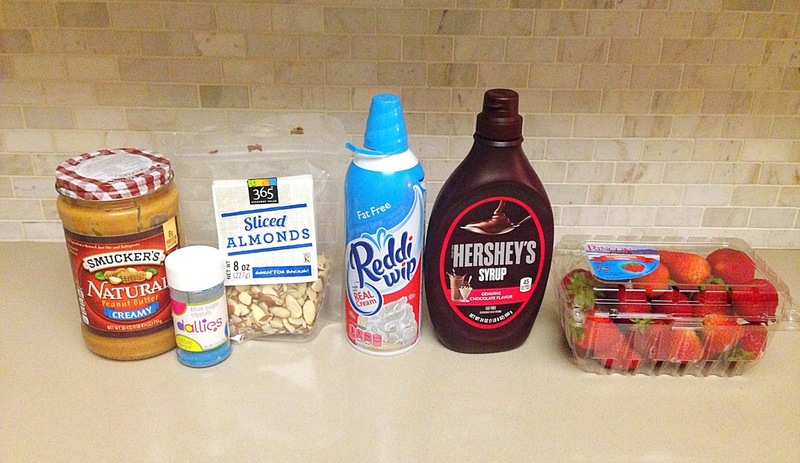 Set it on top of the ice cream, then drizzle it with whipped cream and your toppings. Enjoy! 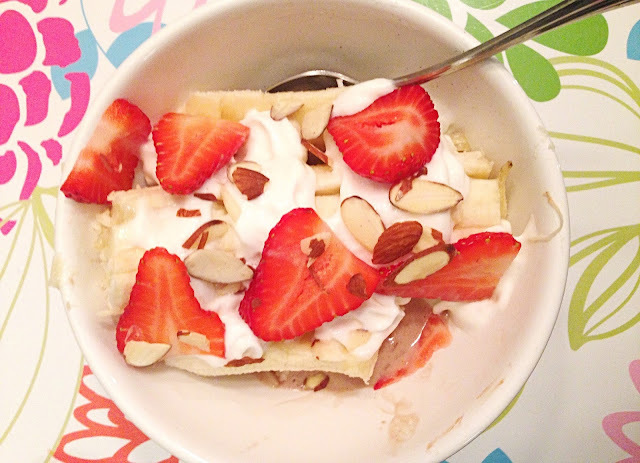 Obviously, I'm no chef, and my recipe wasn't exactly the most unique or detailed thing in the world, but I love banana splits and I had a lot of fun writing this post for y'all! Be sure to go check out Sophie's and Becca's posts as well. In honor of the third official day of summer, I thought I would share a look featuring my favorite fabric: seersucker! I'm a sucker for anything seersucker (see what I did there?) so naturally, I was really excited when I saw this top at Francesca's. When I think of this top, the words love at first sight come to mind. Seriously though, how perfect is this top? When I saw it, I didn't hesitate to buy it. Between the seersucker and the bow on the back, it looks like something directly from Lauren James - except for the fact that this top was less than $30 but it would have been double that at Lauren James. I feel like the above paragraph perfectly sums up why I love Francesca's. Whenever I go in there, there is no doubt that I will find something I love. Embroidered tops, off-the-shoulder tops, casual dresses, and now this beauty - you name it, and if Francesca's has it, it's probably in my closet. I joke all the time about how my entire closet is from Francesca's, but I'm not kidding. I have a problem. I promise, one of these days, I'll have an outfit post featuring a store other than Francesca's - but today is not that day. Anyway, back to this top. 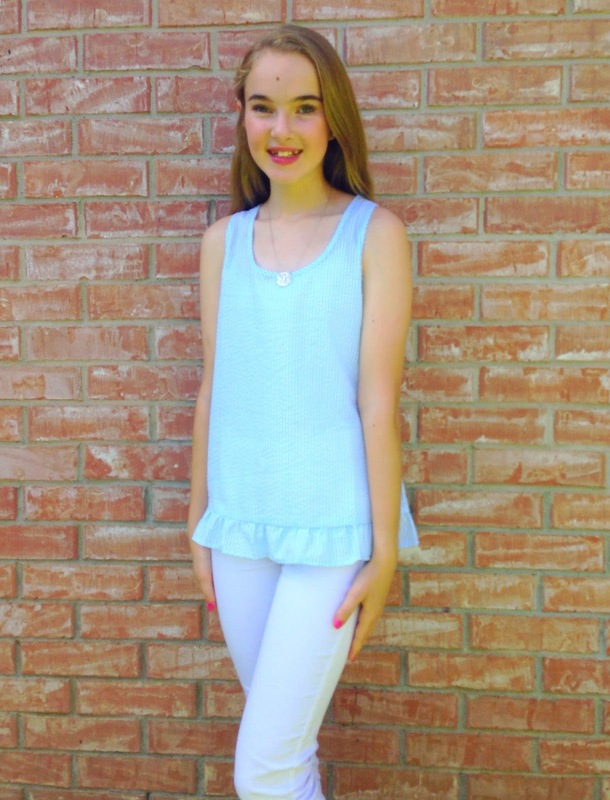 It's easily become my go-to top for summer, and it's one of my favorite ones that I own. 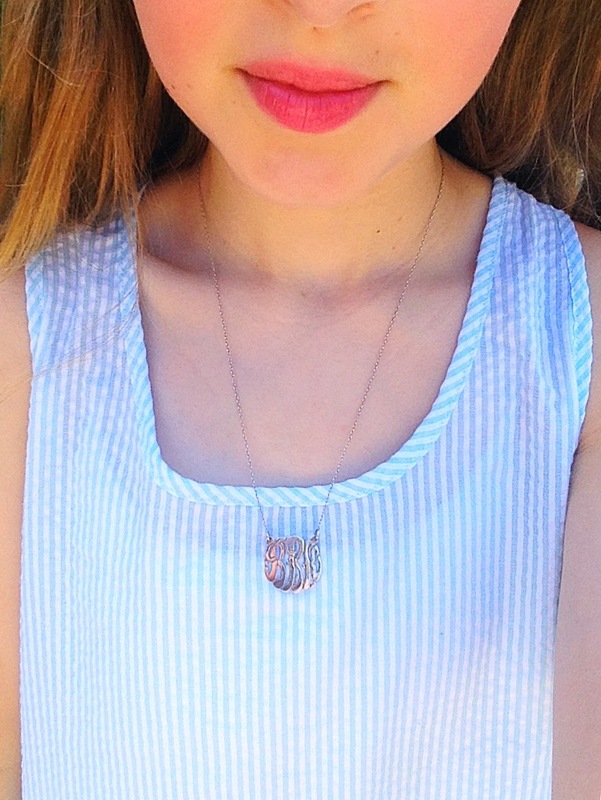 I really love how gorgeous light blue seersucker looks, and when you add white jeans, a simple monogram necklace, and some pink accents like my nails and lipstick, I simply don't see how it can get much better than this. 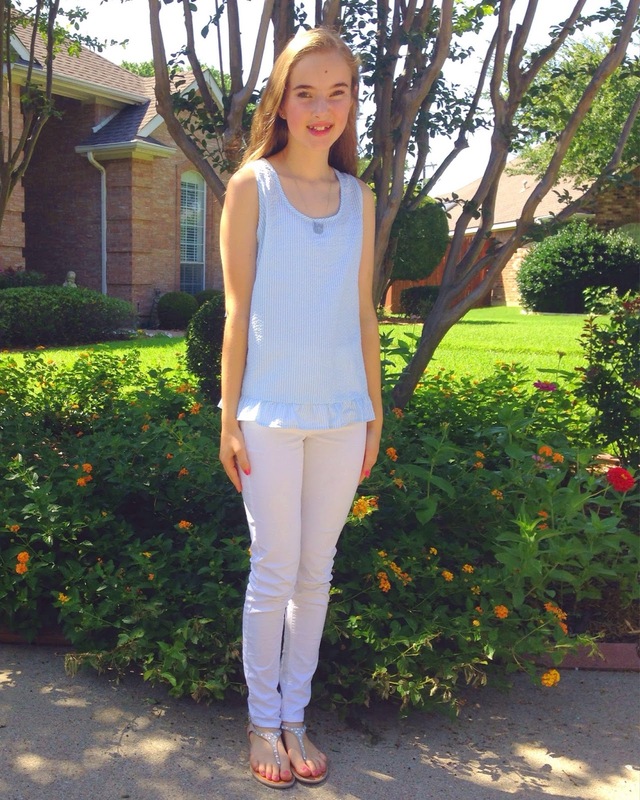 This top reminds me of the Lauren James seersucker dresses, but I love how this is a top, and can be worn more often. I'm going to be doing a lot of traveling next month, so I know this top will be perfect for a day of shopping or a nice dinner! As I mentioned in last week's post, summer has been hectic. Summer has been a lot of fun, however, and I've already crossed a ton of things off of my summer bucket list. Swimming // Summer wouldn't be summer without swimming, would it? I've been going swimming almost every day during the past month. It's the perfect way to cool down after a long, hot day. I love to play water volleyball, swim laps, or just relax on the giant donut float I just purchased. Summer School // This month, I'm taking a keyboarding class in summer school for high school credit, so I don't have to take the class in high school. It's not the most fun class - the curriculum is pretty boring, and I'm not exactly a great typist - but I get high school credit out of the way and one of my best friends is in the class with me. I only have three more days left, so wish me luck! You Gotta Regatta // This week, Lilly Pulitzer released my all-time favorite print, You Gotta Regatta. Up until this month, I've only dreamed of owning a dress in this print, but when Lilly released a neon version of the print, I knew I had to get something in it. I had the hardest time deciding between this dress and this romper, but eventually I came to a conclusion. I picked up the Melle dress (now sold out online), and even though I'm now officially broke, I am so thrilled to finally own something in my favorite print. 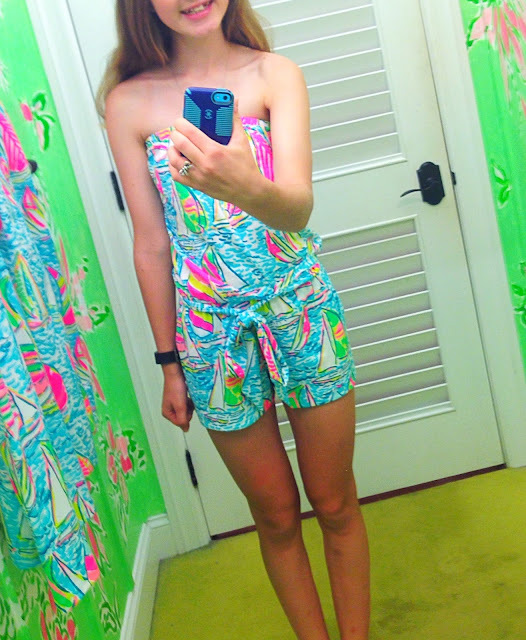 I'll be wearing it tomorrow for National Wear Your Lilly Day! In other exciting news, I just became a brand rep for two amazing companies - Amy Grace Monograms and Fraternity Collection! I'm so excited to be working with both of them. 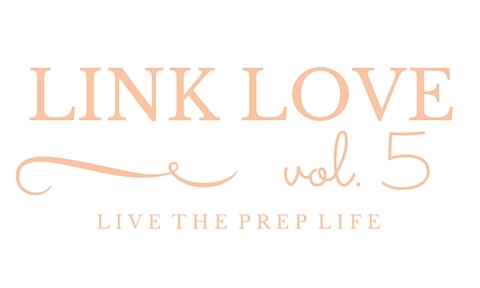 You can use my code brookebutler16 for a discount at Fraternity Collection, and LIVETHEPREPLIFE2016 at Amy Grace Monograms. Happy shopping! How has the first month of summer been for you? When I saw this top at Francesca's, I got it for two reasons: a) scallops, and b) it makes me feel like Caitlin Covington. Something about the scallops, the color, and the fact that it's off-the-shoulder just really screams her name. Since she's one of my biggest sources of fashion inspiration, I naturally had to have it. It's my first scalloped piece and first off-the-shoulder top, so I know I'll be getting a lot of use out of it this summer. This top goes perfectly with some white jeans, sandals, and a cute necklace, and it can be worn for both casual events and dressier events. I also love that it can be worn as an off-the-shoulder top, but you can wear it as an on-the-shoulder top too. For me personally, I prefer the on-the-shoulder look, but I've worn it off the shoulder before and received tons of complements! What are your favorite summer trends?